Perfect addition to my set. Love this gingham set! Adorable on the bed. Bought even before I did the matching comforter. Love this black and white buffalo check. I haven't wash it yet, but will update after I do. 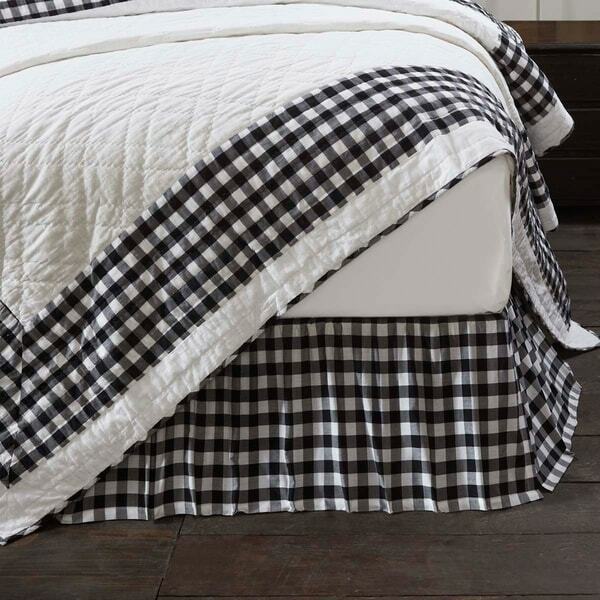 Nothing I dislike about this adorable buffalo check bed skirt. I needed just another little touch of the black and white and this is so pretty peeking at the bottom of the bed. Appreciate I know I will find what I want on this site! Keep up the great work! I would buy again. I ordered the gray and white, the color is good and the fabric is nice, however, it's barely ruffled (not like the picture looks). It's okay and I'm going to keep it but be aware, it's not a very full ruffle. I love this set in my master bedroom! It goes beautifully with my modern farmhouse decor and everything else I have in there! The quality is good, the color is really pretty and it's just an adorable bed skirt! I'm so happy Overstock offers this, and at a fair price! Thanks Overstock! I ordered the king sized Annie bed skirt and I love it, it fit the bed perfectly. It fit good w/ my king bed and it make my bed beautiful and it’s not pricy !!! 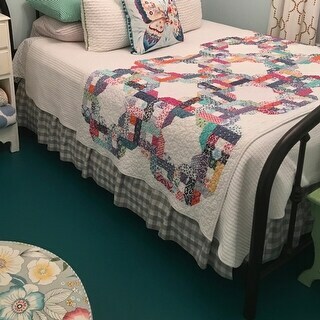 The bed skirt truly makes the rest of the bedding really stand out. I just cannot say enough about this set. You cannot go wrong with this set. Especially if you are looking for a country French, rustic or even a cottage style look for any bedroom in you home. 5 stars for this entire set!! I meant to give this five stars not four! I love the grey check. It goes nicely with my grey quilt. I did purchase the pillow cases and throw pillow to go with it. So cute! It is more of a grey-brown color. The shipping as fast. Thank you! PERFECT! DARLING! Excellent quality and go so well with my other Buffalo plaid bedding purchases. It tops off the room--it looks like it's out of a decorating magazine! Great quality and fit. Just what I needed! The bedskirt makes the bed look beautiful! I couldn't be happier!! This bedskirt is exactly what I wanted. I like that it is cotton instead of polyester. It is pretty thin, but it still drapes well. Just for your information, I hemmed it four inches to make a it a "mini"skirt before I took this picture; when I first put it on the bed, it touched the ground. I was looking for black and white checks. 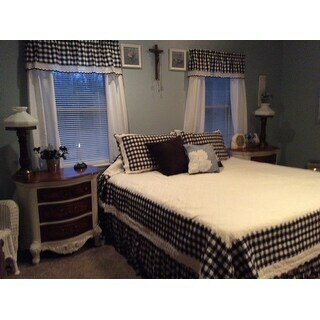 "Will the king size bed skirt be available in the black and white check as shown in the photo? I am purchasing the curtains and the bed shams to use as accent pieces in my bedroom and the bed skirt would really finish it off! Please tell me yes!!!! Thank you. Karen "
This is expected to be back in stock by the middle of May.